Your equipment is your livelihood – without it, projects can be held up and costs can soar. Major engine failures and older, less efficient engines can cause serious difficulties for operators. Lower productivity from an older engine can become a large issue, and the more downtime your equipment has due to an engine failure is additional hours your equipment is out of money-making service. Perkins Pacific helps your equipment increase productivity and get back into service after an engine failure. In as little as 72 hours, Perkins Pacific can have a stock remanufactured engine shipped and in-transit to your location. –Less downtime: Since you’re integrating a newer version of the same engine already in your equipment, integration takes significantly less time due to less engineering and man hours required. 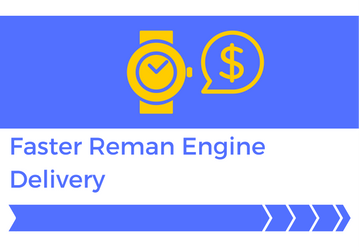 –Highly reliable operation: With a reman engine, your equipment is powered by the extreme reliability that Perkins engines are known for and trusted to operate in harsh conditions and long operating hours. Backed by more than 25 years of reman experience, Perkins Pacific’s remanufactured engines are trusted by more than 160 OEMs across the Western U.S. Each engine is cleaned down to the smallest piece, magnafluxed to check for cracks and defects, has damaged parts replaced, inspected in detail by our experienced technicians. When you receive your Perkins Pacific reman engine, it’s also been dyno tested to ensure that all operator or OEM specifications are met. Interested in more information about Perkins Pacific remanufactured engines? Read more or contact our team.